Casa Mila, also known as La Pedrera by Antoni Gaudí is one of Gaudí's best known buildings and one of the most famous attractions in Barcelona. "Casa Milà", commonly known as "la Pedrera", is a unique building in Barcelona. It was built from 1906 to1912 by the Catalan architect Antoni Gaudí (1852-1926) La Pedrera was declared a UNESCO World Heritage site in 1984 along with other Gaudí works. Today Casa Mila houses the main offices of the Fundació Caixa Catalunya, which is a a cultural foundation. 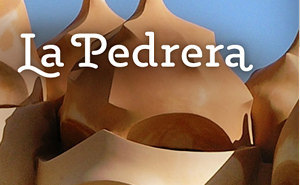 Visitors to the building can see the patios, the Espai Gaudí (attic and roof-terrace) and the Pedrera apartment. The Casa Mila house was commissioned by Pere Milà, who was married to a rich widow, Mrs. Roser Segimon. They wanted to live in a spectacular house on the most cosmopolitan avenue of the Barcelona of the time which was and still is, Passeig de Gràcia. They chose Gaudí to as the architect of Casa Mila mostly because he had just renovated Batlló House also on Passeig de Gracia, which at the time was considered the height of modern architecture. Mr. Milà, however, wanted his house to be even better and more monumental. Casa Milà, also known as "La Pedrera" (which means stone quarry in Catalan language), is a top Barcelona attraction. This UNESCO World Heritage Site was the last residential building designed by the famous architect Antoni Gaudí and is one of the finest examples of the modernist legacy in Barcelona as well as one of the most important buildings of the 20th century. Ticket includes access to rooftop terrace, attic space with Gaudí exhibition and recreation of an early-20th-century period apartment with furniture from the time and decorative elements designed by Gaudí, which will give you a glimpse of how an upper-middle class family lived at the time and to end your visit, you can visit the courtyards which show the innovations of Gaudí's designs and how nature inspired the entire building.